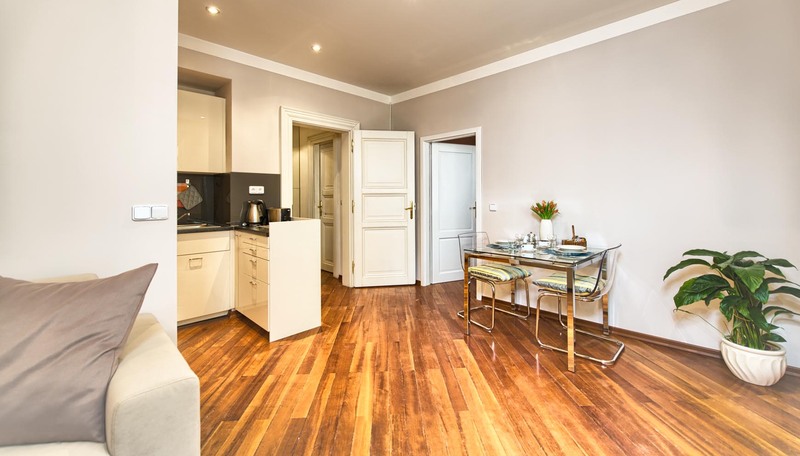 Situated on a 5th floor of a beautifully renovated historical Residence Masna, apartment No. 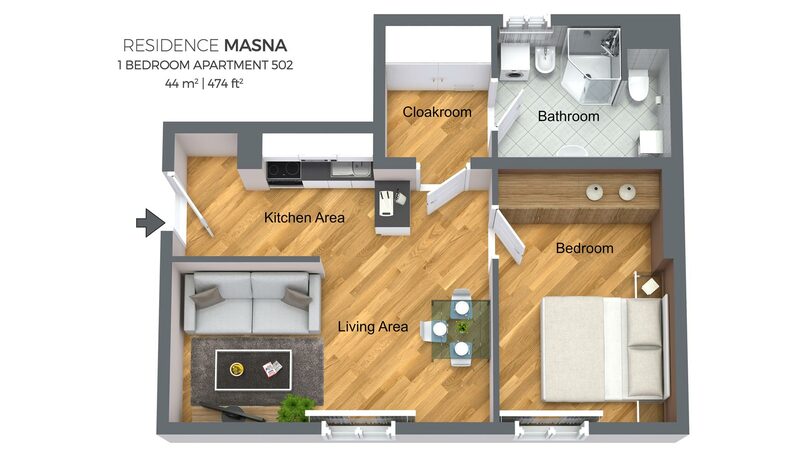 502 offers an unmatched privacy. Easy access to the apartment is guaranteed as the house features an elevator. 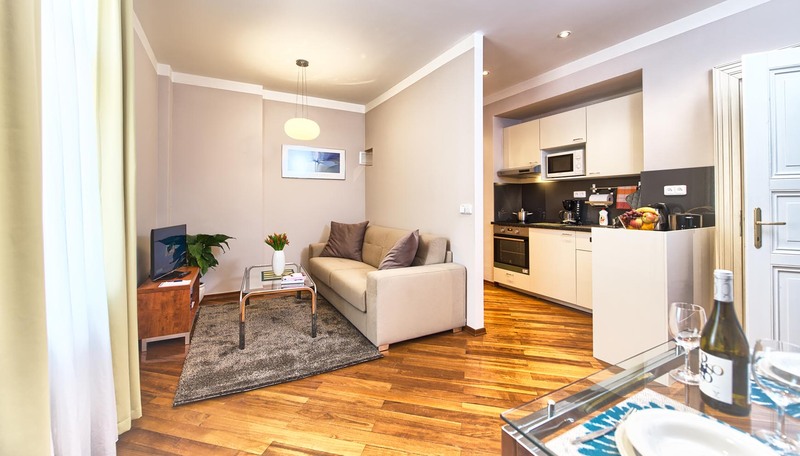 The apartment itself is bright, spacious and contemporarily decorated to a high standard. 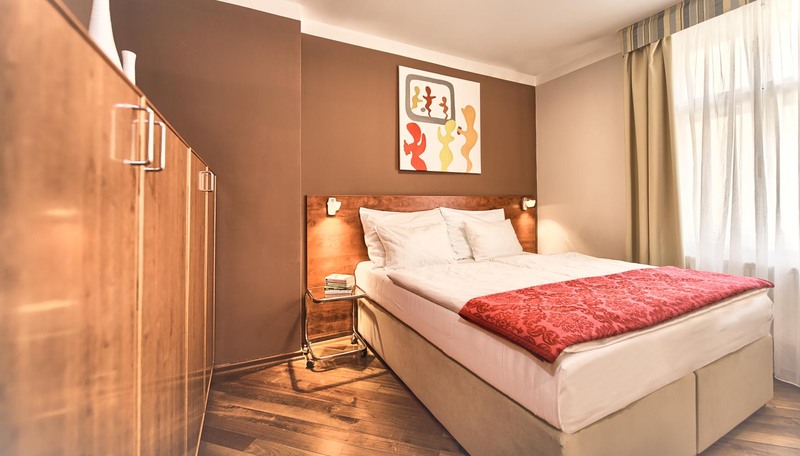 After a warm welcome from our attentive staff, which is available 24/7/365, you can enjoy fully furnished apartment providing all you need for both short and long term stay – simply the best option to enjoy Prague in style. 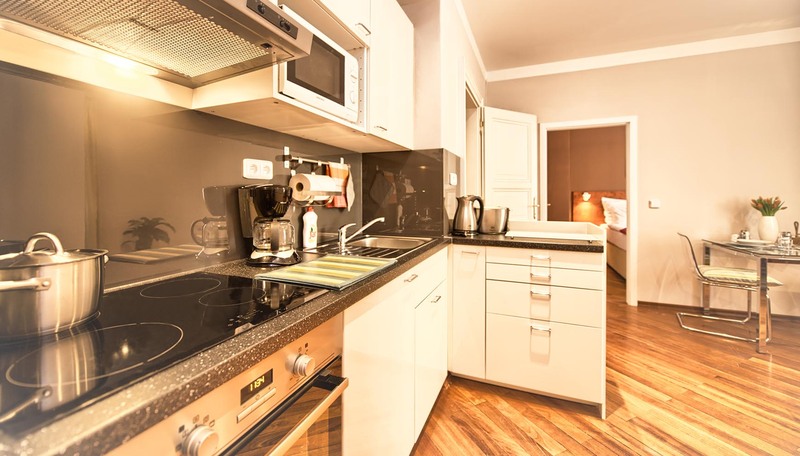 A fully fitted kitchenette (oven, cooktop, microwave oven, refrigerator, toaster, kettle and other amenities) is separated from the living area by a divider so you can enjoy watching a smart flat-screen TV even while cooking. 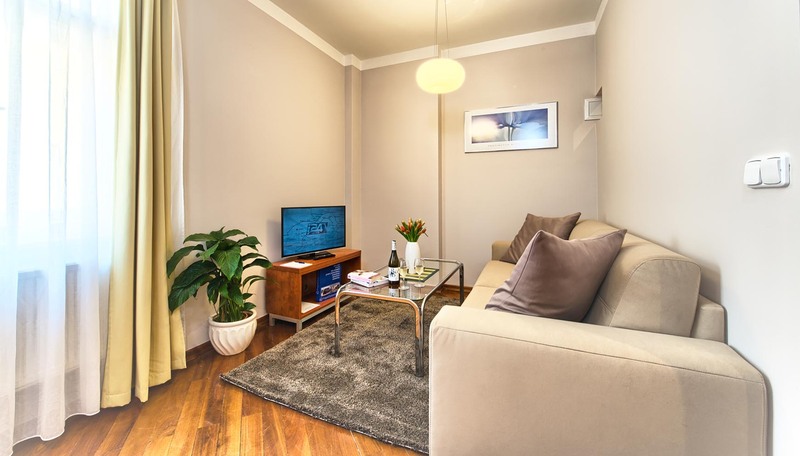 The living area also boasts a comfy sofa perfect for relaxing after a long day. You will definitely enjoy a cozy bedroom with enough storage space and especially extra comfortable king-sized bed for a peaceful and refreshing sleep. 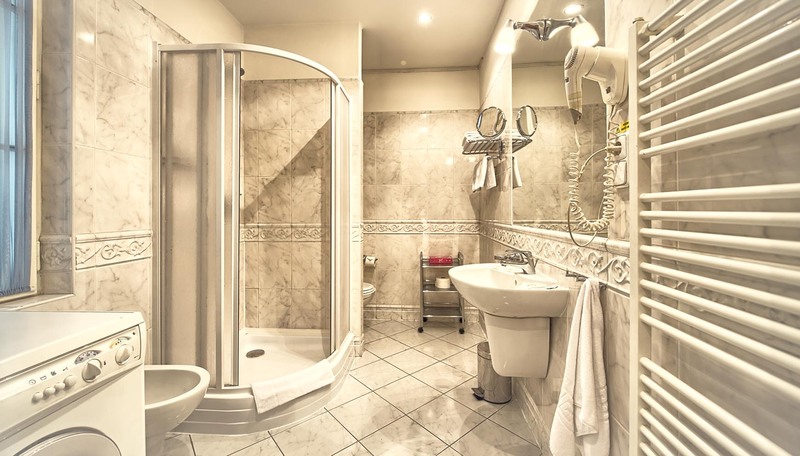 You will also like a lovely bathroom with a shower corner, large mirror, towel warmer or washing machine – if you wish we can gladly provide any maid services including fresh towels, basic/complete maid service or even a laundry service, ironing and dry cleaning. 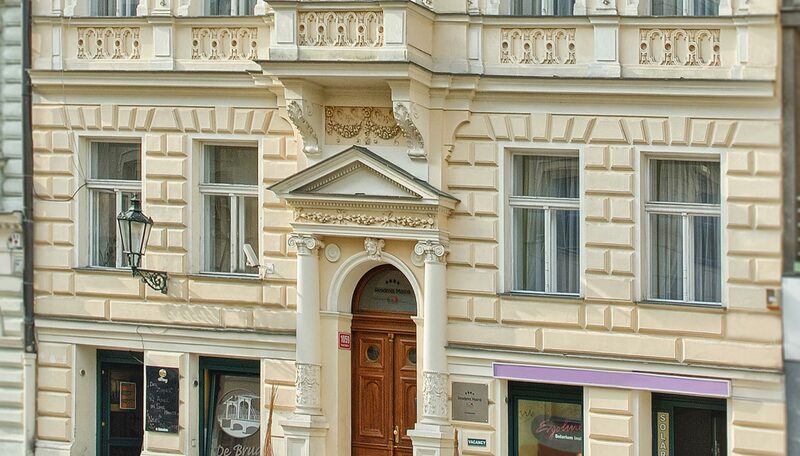 Even though the residence is outside the busiest parts of Prague’s Old Town, it is uniquely situated for those planning to enjoy an extended stay in Prague. 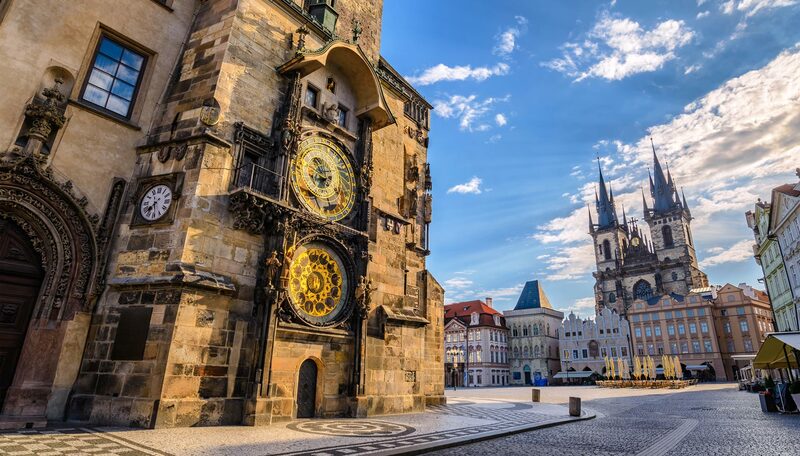 It is just a stone’s throw from the Old Town Square and other major sights.